Breastfeeding Conferences Webinar - Infant feeding: In whose interest? Available Online: This conference will bring together some of the world's most respected researchers and thinkers in the field of human lactation and public health. Twenty percent of profits from the conference will be used to start a "Breastfeeding Innovation and Promotion Fund" to assist groups who have an innovative approach to supporting breastfeeding. 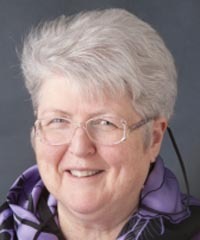 Maureen Minchin is a medical historian and pioneer lactation consultant who has been involved globally at the highest levels with infant feeding issues since the 1970s. Her books Food for Thought (1982-1992) and Breastfeeding Matters (1985-1998) have been influential world-wide. 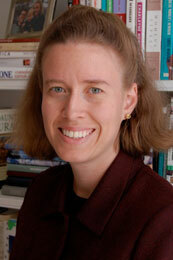 Her latest book is Milk Matters: infant feeding and immune disorder. This multi-disciplinary text argues that a milk hypothesis encompasses the hygiene hypothesis, and documents the many risks and harms of artificial feeding, while also providing practical strategies for parents struggling with the unhappy food-hypersensitive babies common in communities where formula feeding is entrenched. Dr. Alison Stuebe is Associate Professor of Maternal Fetal Medicine at the University of North Carolina (UNC) School of Medicine. She has published multiple peer-reviewed articles on the association between lactation and long-term maternal health outcomes. Her current research includes the clinical management of breastfeeding difficulties and the role of oxytocin in women’s health. In the clinical arena she serves as Medical Director of Lactation Services for UNC Healthcare, where she leads an interdisciplinary team of UNC clinicians that is developing new approaches to management of breastfeeding difficulties. Dr. Stuebe is a member of the American College of Obstetrics and Gynecology Committee on Obstetric Practice, chairs the External Communications Committee of the Society for Maternal-Fetal Medicine, and is a member of the board of the Academy of Breastfeeding Medicine. She has been American Board of Obstetrics and Gynecology certified since 2010. 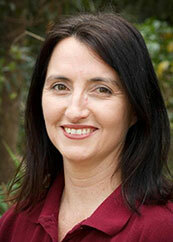 Rachel qualified as a Barrister and Solicitor in the ACT in 1995. After 5 years of practice as a litigation lawyer with the Commonwealth Government, Rachel had her first baby and joined the Australian Breastfeeding Association. Rachel qualified as a Breastfeeding Counsellor in 2003. The legal issues of breastfeeding have interested Rachel since she became a breastfeeding mother, particularly the issues of breastfeeding in public, breastfeeding at work, family law and the regulation of the marketing of artificial breastmilk substitutes. Rachel’s PhD concerns the regulation and legislation of issues concerning breastfeeding. Rachel aims to publish a book addressing these issues. David Clark is an international lawyer working with the Nutrition Section, UNICEF, New York. Prior to that he worked for the United Nations Interregional Crime and Justice Research Institute in Rome, Italy. Since 1995, David has assisted more than 60 countries in drafting legislation to implement the International Code of Marketing of Breastmilk Substitutes, and has been instrumental in bringing a human-rights based approach to the protection, promotion and support of breastfeeding. He has contributed to the development of international policy guidelines in the area of HIV and infant feeding and infant feeding in emergencies. David has written and contributed to many articles and publications on health and nutrition policy, developed courses and training materials on the implementation of the International Code and maternity protection and has facilitated numerous workshops on the issue. Jennifer Grayson is the award-winning environmental journalist and author of the book Unlatched: The Evolution of Breastfeeding and the Making of a Controversy, which has been widely covered in the media since its HarperCollins release. Her incisive investigative reporting coupled with her deeply personal writing has been lauded by luminaries from Pulitzer Prize – winning journalist Michael Moss to renowned food activist Marion Nestle to Oscar-winning actress and UN Women ambassador Anne Hathaway, and the book was the recipient of a 2016 Nautilus Book Award. Jennifer's lifelong commitment to restoring our time's vanishing connection to the natural world led directly to her research for Unlatched. She lives in Los Angeles with her screenwriter husband and two young daughters — her most important life's work. Dr Campbell is the Professor of Population Nutrition in the School of Exercise and Nutrition Science and the Institute for Physical Activity and Nutrition (IPAN) at Deakin University. She also co-directs the national Early Prevention of Obesity in Childhood Centre for Research Excellence. 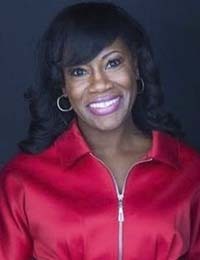 She has developed a profile nationally and internationally for her work in early childhood, heading a program of research on early childhood nutrition. 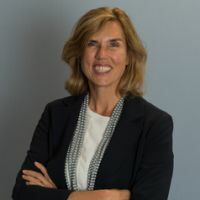 Public health utility is a key feature of Professor Campbell’s research and is evidenced by the State level adoption of the largest of her intervention studies, The Infant Program. Naomi Hull is a Registered Nurse of many years, and an IBCLC of 7 years. She maintains a small but growing Private Practice in Brisbane and is currently the Qld Branch President of the Australian Breastfeeding Association. She recently attained a Masters of Public Health (Nutrition) where she chose to look at the implementation of the Australian National Breastfeeding Strategy (2010-2015) as the topic of her dissertation. Naomi continues to feel strongly about finding a way to improve the breastfeeding experience for families by way of affecting policy change in Australia. 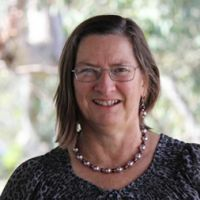 Julie Smith is an Australian Research Council (ARC) Future Fellow, and Professor (Associate) at the Australian National University (ANU). She was formerly a senior economist in Australian and New Zealand treasuries and department of finance. Dr Smith has been an expert advisor on economic aspects of breastfeeding to the WHO and the US Department of Health and Human Services, and led a consultancy for WHO on marketing of commercial complementary foods for infants and young children. Her invited expertise has contributed to several parliamentary inquiries on breastfeeding, tax expenditures reporting, and tax policy. She has published on public finance and health issues in journals across several disciplines, with a strong interest in public policy. She has published two books on tax policy (Taxing Popularity and Gambling Taxation in Australia), and is currently researching a book on the economics of mothers’ milk. IBLCE CERPs and MidPLUS points have been applied for.